The bandstand in Parc de Bruxelles featured in Villette. On Sunday 18 October a group of about 20 Brontë fans braved the freezing weather to meet up in front of the Chapelle Royale (the Protestant Church in Brussels) for a fascinating tour of some spots relating to Charlotte and Emily's stay in Brussels. The tour was led by Myriam Campinaire of the Brussels Brontë Group who took us on an amazing walk, peppered with very interesting information on why and how the two sisters came to Brussels, what they did here, the places they visited, the people they met and what they thought of the Belgian people. She frequently quoted from their letters and read extracts from Charlotte's The Professor and Villette. 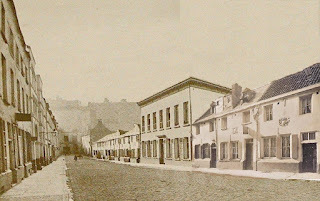 Myriam also gave us a glimpse of Brussels in the early 1840's: a young country which had just come into existence after a civil war fought mainly in Brussels and which had seen the battle of Waterloo unfolding at its doorstep. I am not going to go into details of the tour since it will spoil the little discoveries that one comes across, as expertly guided by Myriam (for all the people who will go on future walks). I just want to give you a brief overview of what we saw. As I mentioned the tour started out in front of the Chapelle Royale where Charlotte and Emily went every Sunday. From there we moved on to the Place Royale, where Myriam went through the history of the area in the early19th century. The square and surrounding areas were a focal point of Brussels life, since the Belgian nobility lived and worked here. We than went to the Park, where we heard about the history of the park, its design and construction. I was fascinated to hear that Peter the Great of Russia, Wellington and Robert Louis Stevenson had all visited the park and had a number of 'adventures' here. Our next stop was the Rue Baron Horta, where we learned that the Fortis Bank building and the Palais des Beaux Arts ("Bozar") arts centre now stand on the area where the Pensionnat Heger used to stand. I am ashamed to say that I must have passed this road hundreds of times and never noticed the small plaque which the Bronte Society put up just to the left of the entrance of the Bozar building, which commemorates Charlotte's and Emily's stay in Brussels. After walking through some small streets in the area we concluded our walk by visiting the Cathedral of Saint Michel and Saint Gudule, where Charlotte Bronte actually went to confession and which is described in great detail in her letters and Villette. All I can say in conclusion is that I will never look at this part of Brussels in the same way again and my name is definitely down on the list for future walks. The theme of our talk on Saturday 17 October in our usual venue (Facultés Universitaires Saint-Louis) was Charlotte Brontë's novel Villette. People who read or re-read the novel after moving to Brussels agree that reading it here is illuminating both about Villette and Brussels. There are always some readers who find it difficult and unappealing, yet for many it is uniquely atmospheric and fascinating. Maureen Peeck O'Toole's talk, Are you anybody, Miss Snowe?, by focusing on the narrator Lucy Snowe and her relationship with us, the reader, addressed some of the questions that arise about this novel. Many of these relate to the character of Lucy. 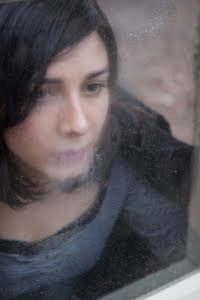 Can we like her, or at least understand her and feel sympathetic towards her? What is her attitude to us, the reader? Why does she sometimes seem to deliberately mislead us or at least withhold things from us? The talk was intended to be useful for first-time readers of the novel while suggesting new ways of approaching it to those already acquainted with it. The discussion that followed and comments by people who attended suggest that the audience did indeed find it thought-provoking. Maureen Peeck has lived in the Netherlands for much of her life and taught for many years at Utrecht University, but she was born Maureen O'Toole and brought up in Bradford close to the Bronte village, Haworth, which she visited as a child. Maureen is a founder member of the Brussels Bronte group and has always been one of its most active members. Her talk was followed by readings of passages from Villette selected by her to illustrate it. We had five very competent readers, many with acting experience. Four were members of our group while the fifth had volunteered to join them in response to our appeal for a male reader to read M. Paul's part. The formula of talk plus readings worked well and several people said afterwards that the readings highlighted the points touched on by Maureen as well as being enjoyable in their own right. We prepared for the talk by reading Villette in our reading group. There was so much interest that in addition to our meeting of regular members of the reading group, we organised an extra discussion just before Maureen's talk for all the other people eager to talk about the novel. This report was written by one of our members, Marcia, who went to see the play about the Brontë sisters (see earlier Blog entry). "Yesterday evening (22 October 2009) I saw the play ‘De Brontë Sisters’ by the Dutch company Toneelgroep Dorst. I was very curious about the play, because the actors are years older than any member of the Brontë family ever was except their father Patrick. No not at all. 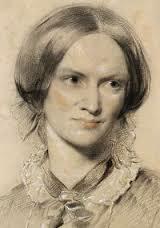 They simply played the lives of Charlotte, Emily, Anne and Branwell Brontë. And they did that very well. I had to get accostumed to an actress of sixty kneeling on a chair hanging over the table like a child. But as the play continues and the Brontës age, one can completely forget the grey hair and older hands, so fascinating is it to see these four people play the Brontës with everything there is to it. In Haworth, at Cowan Bridge School, Branwell in London, Charlotte and Emily at the Pensionnat Héger in Brussels, Anne at the Robinsons, Charlotte and Anne in London with Mr. Smith, the publisher, and back in Haworth the hell the sisters live in during the years of Branwell’s addiction. And we Brontë-fanatics have a disadvantage, because we see and hear everything, that is not quite right or of which we have a different view these days. Personally I think it is a pity, that their father Patrick is portrayed as an eccentric and not very child-loving father, almost like Mrs. Gaskell did one-and-a-half century ago. But somebody who has just come to see this play because Jane Eyre and Wuthering Heights made good television not so long ago, has no problems at all with this and can look freely to an fascinating story told by good actors, performing beautifully dressed in sober surroundings. If want to know more about the play and the actors: see www.toneelgroepdorst.nl (in Dutch). A cooperation of two theatre groups, Theater Antigone and Theater Artemis, are doing an adaptation on Wuthering Heights, and will be touring around Holland and Belgium. They’ll play on Sunday the 8th and Monday 9th November in the Palais des Beaux Arts in Brussels. It is a play for youngsters from 13 years of age onwards, but everyone who is interested is very welcome. It is however written for a Dutch audience, as are the 2 other plays featured on this Blog. "Op het afgelegen landgoed Woeste Hoogten is het goed toeven. Cathy en haar broer Patrick hebben het goed samen. Ze worden liefdevol gekoesterd en de wereld buiten het huis is al even vredig als binnen. Tot vader verschijnt met een wild, vuil en stinkend jongetje dat hij vond op straat. Volgens Patrick is zijn vader gek geworden. Hij haat zijn nieuwe broer onmiddellijk en pest hem ongenadig. De temperamentvolle Cathy voelt zich juist aangetrokken tot de vondeling en tussen de twee bloeit een innige genegenheid op. Dat is het begin van veel ellende. Samen dollen Cathy en Heathcliff op de Woeste Hoogten en beleven ze magische avonturen op de eeuwige rotsen. In de natuur gaan ze volledig in elkaar op en ontdekken ze elkaars diepste gevoelens. In het dal wonen Edgar en Isa, vrienden van Cathy en Patrick. Edgar heeft stijl, hij is grappig, verfijnd en rijk. Hij is dol op Cathy en zij op hem. Bij zijn aanzoek lonkt de charme van zijn wereld en een zonnige toekomst lacht haar toe. Gekwetst en verteerd door wraak neemt Heathcliff de benen. Zijn mysterieuze verdwijning verscheurt Cathy. Maar ze krabbelt overeind en begint opnieuw - met Edgar. De gevolgen zijn desastreus als Heathcliff terugkeert: sterker dan ooit, aantrekkelijk, steenrijk en bereid zijn spel hard te spelen. Wuthering Heights, het boek van Emily Brontë, is bekend van talloze verfilmingen, bewerkingen en songteksten. Jeroen Olyslaegers schrijft in opdracht van Artemis en Theater Antigone een tekst gebaseerd op dit boek, waarin de duistere kant van de rusteloosheid naar boven komt. Zijn we rusteloos omdat we in rusteloze tijden leven? Of wordt rusteloosheid ons ingefluisterd door een demon, de Heathcliff in ieder van ons? In 2007 bewerkte Jeroen Olyslaegers voor Artemis Cervantes' Don Quichot en zijnen ijzeren wil. Deze ongetwijfeld indringende Woeste Hoogten wordt gespeeld door een groep jonge acteurs die her en der al veel indruk hebben gemaakt. " The tickets cost €8, or €6 if you are a student or a teacher. It includes the entire play list for the theatres where they will perform. An evening out with the Brontës. For those members and other Brontë lovers from Holland, there is a chance to see 2 plays about the Brontës; one musical based on Jane Eyre and one theatre play based on their lives. 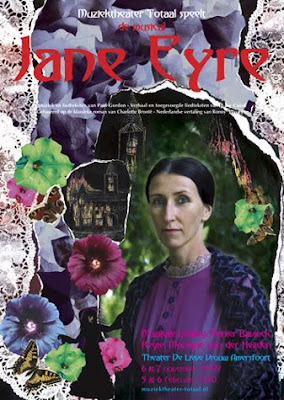 Muziektheater Totaal speelt Jane Eyre, een musical drama, in Theater de Lieve Vrouw te Amersfoort. Aanvang 20:30. Kaarten kosten 17,50 per stuk. Er kunnen kaarten besteld worden voor de premièrevoorstelling op vrijdag 6 november. 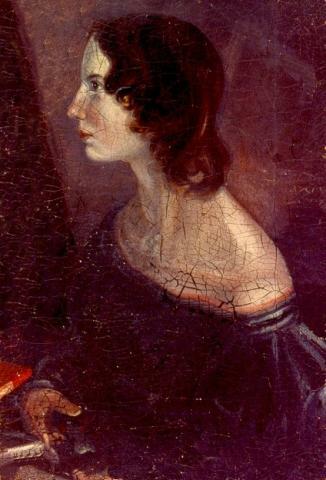 "In Jane Eyre staat het gelijknamige personage uit het romantische boek uit 1847 van de Engelse schrijfster Charlotte Brontë centraal. Het weesmeisje wordt gouvernante op Thornfield Hall, waar ze haar hart verpandt aan een raadselachtige graaf met een duister verleden. Voor ze kunnen trouwen, moeten Jane en Edward Rochester heel wat hindernissen overwinnen." Toneelgroep Dorst speelt De Brontë Sisters. "Geen enkele familie in de literaire wereldgeschiedenis neemt zo’n bijzondere plaats in als de familie Brontë. Emily Brontë schreef Wuthering Heights (Woeste Hoogten) – een zonderling maar ongeëvenaard meesterwerk, waarin haat, jaloezie en een vernietigende passie de boventoon voeren en is een van de meest aangrijpende liefdesgeschiedenissen aller tijden. Haar denkbeelden over leven, dood, verbeelding, vrijheid en goddelijke macht hebben een diepgang, vergelijkbaar met die van Shakespeare. Charlotte schreef Jane Eyre, evenals Woeste Hoogten veelvuldig bewerkt tot film en t.v.serie. Charlotte werd heen en weer geslingerd tussen haar sterke zedelijkheidsgevoel en haar heftige seksuele gevoelens. De jongste zuster Anne schreef Agnes Grey, was vroom en ingetogen en hun enige broer Branwell hartstochtelijk, opstandig en een opschepper; aanvankelijk een veelbelovend schrijver en kunstenaar ging hij tenonder aan drank en opium. Hun leven was kort maar is vereeuwigd door hun roem. Over deze levens en hun indrukwekkende werk gaat De Brontë Sisters. " There is a list of performance dates and places.